The RDU Solution: Let's think big - GetGoing NC! Several years ago, when Keith Nealson was a ranger at Umstead State Park, I nearly had him talked into a canoe trip down Crabtree Creek through the park. Alas, he transferred (he’s now the superintendent of Eno River State Park) and the trip never advanced beyond talk. But the idea has lingered. It’s come to the fore of late with talk of creating a Trails Center on about 600 acres owned by the RDU Airport Authority between Lake Crabtree County Park and Umstead. If you aren’t familiar with the area, it is a mecca for local mountain bikers and runners. There’s about 35 miles of legal trail in the vicinity, perhaps twice that if you throw in the … unauthorized paths. A year ago, RDU commissioned a study suggesting this land — including some of the legal trail at Lake Crabtree — might be put to more economic use by housing offices, apartments, retail. 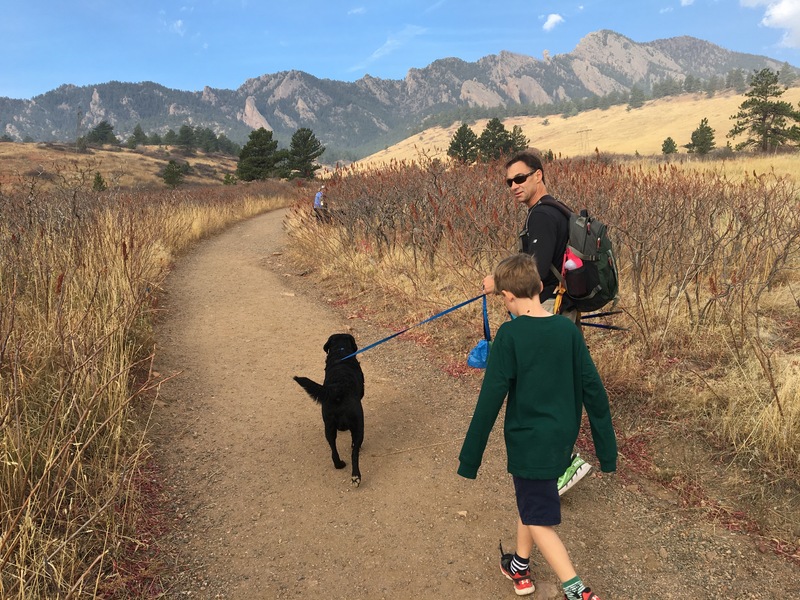 The local outdoors community has responded with a proposal to instead create a Trails Center that, in the words of Wake County Commissioner Sig Hutchinson, could establish the Triangle as the Boulder of the East. Boulder of the East: that’s selling short the area’s true potential. 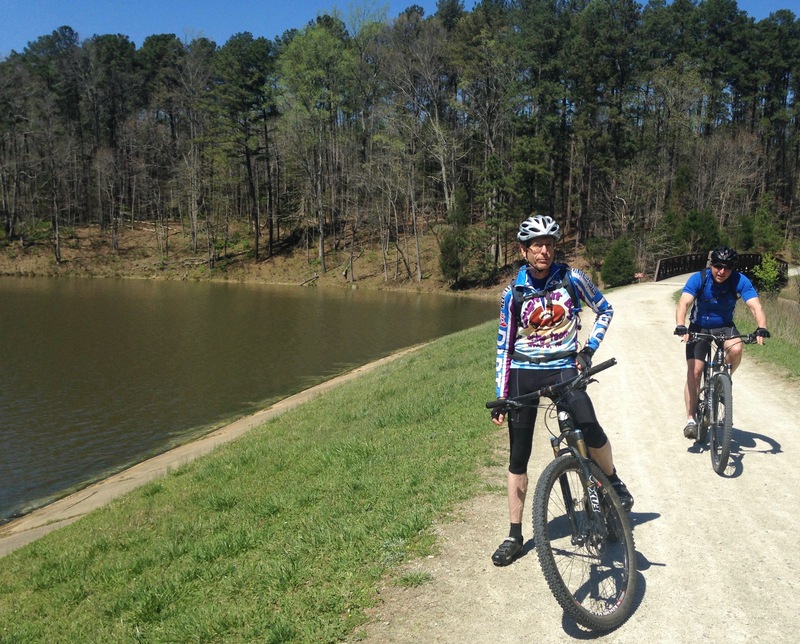 So far, the focus of this center has been on trail aimed at bikers, runners, hikers. But the potential here is so much more. Take that canoe trip I didn’t take. Crabtree spends about an hour meandering through Umstead, a nearly pristine run through protected forest that includes old growth beech groves and bluffs of rhododendron and mountain laurel. After leaving the park to the east, at the Ebenezer Church Road boundary, the creek continues about 17 miles before feeding into the Neuse River. As many know because for 14.6 miles the creek is escorted by Raleigh greenway, it’s a diverse stretch: there’s some of the natural beauty found in Umstead, you can stop and shop at a mall (Crabtree Valley), you can lookie-loove the backyards of some of Inside the Beltline’s grand homes. There’s even a portage, at Lassiter Falls. Because of downfall strainers dropped over the years, Crabtree is only paddled as a lark, for quirky bragging rights. And how about that greenway. On the Lake Crabtree end, trail connects with the Cary greenway system: Black Creek Greenway meets the White Oak Greenway in Bond Park, White Oak is just two short stretches shy of connecting with the American Tobacco Trail and a ride into downtown Durham. Heading east out of the park, there’s a short stretch of yet-to-be-built greenway before the Crabtree Creek Greenway picks up and begins its nearly 15-mile run to the Neuse. There, it meets with 32 miles of greenway running from the base of Falls dam to Clayton. A short distance downstream, you can ride up the 15-mile Walnut Creek Greenway and ride through N.C. State’s Centennial Campus to Lake Johnson. In all, there’s some 200 miles of nearly connected trail, nearly all of which is paved (and what isn’t, in Umstead, is a crushed gravel surface friendly to most bikes). 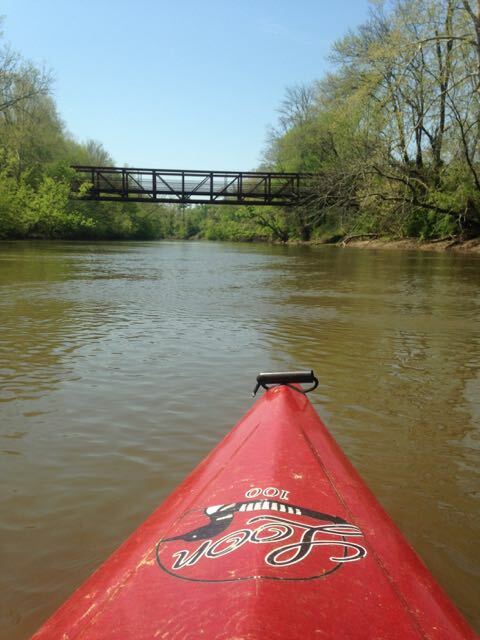 A paddle trip originating on Crabtree Creek could wind up on the Neuse River. It wasn’t the first time I’d fielded such a question from a visiting business type. For a runner traveling for work, you couldn’t ask for a better amenity than Umstead. Made me wonder how a traveling mountain biker might respond should there be a quick and easy bike rental option near the airport. Rent mountain bikes, do repairs, and offer guide service and skills training with access to 25 miles of single-track trail. Serve as a bike touring center for cyclists skittish in traffic but eager to ride long — of 100 miles or more. Serve as a hiking center to those interested in exploring the 20 miles (currently) of hiking trail in Umstead. 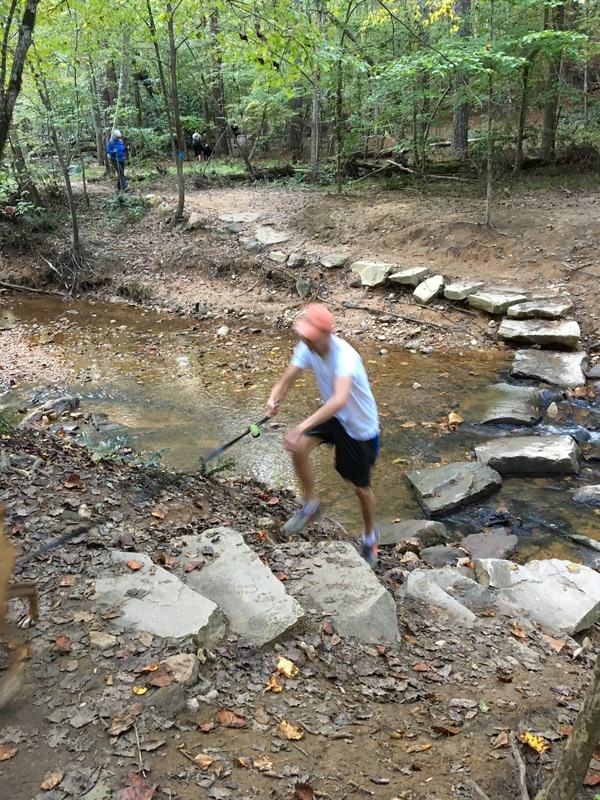 Serve as a nexus for runners, perhaps offering training packages to distance runners eager to take advantage of Umstead’s natural surface trail. And what the heck, let’s throw in a climbing wall, maybe convince our friends at the Triangle Rock Club to build their first outdoor climbing facility. Much of the recreational infrastructure is in place. Perhaps the biggest challenge would be making Crabtree Creek navigable: those strainers create habitat over time, and care would need to be taken not to disrupt the ecological balance. The Triangle Adventure Center would be a great asset for local residents. Its proximity to RDU — its existence within RDU — would make it one of the top airport amenities in the world (and if you don’t think that means something, just ask any RDU board member). It would draw serious athletes for focused training as well as families looking for an adventure vacation with the amenities (shopping, food, culture, an actual bed to sleep in) of an urban area. Rather than settle for being the Boulder of the East, let’s think big. Let’s make Boulder the Triangle of the West.